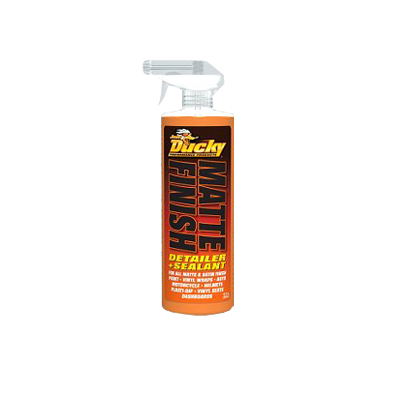 Ducky Matte and Satin finish detailer and UV protectant is for all matte or satin finish vinyl wraps. I can be used on trailers, vehicles, boats, etc. Matte Finish was designed to safely removes oils, dust, grime, bird dropping and grease while restoring and protecting original matte finish. Matte Finish is wax and silicone free product to help retain the original matte or satin finish. Matte Finish can be used after and between regular washings.